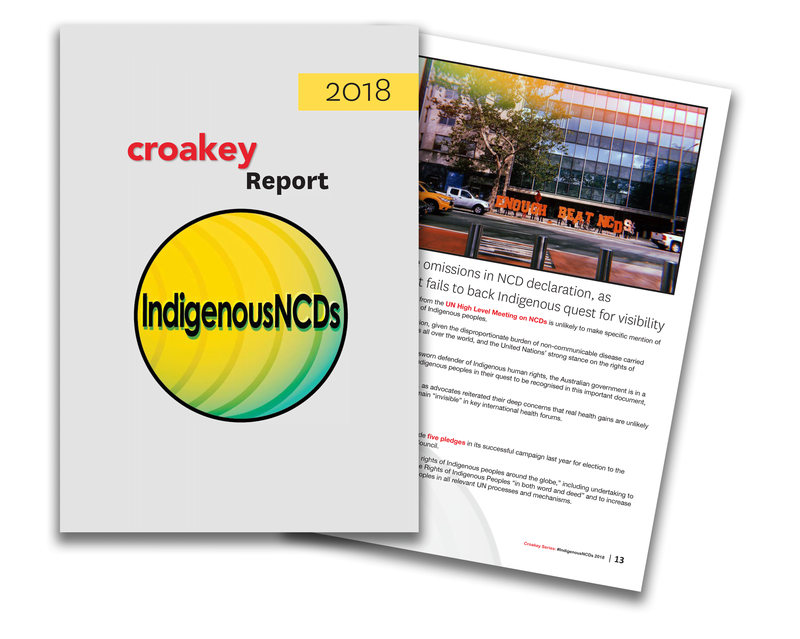 Croakey contributors and readers have less than a month to finalise a submission to an important inquiry into digital platforms that has significant implications for public health, Amy Coopes reports below. Digital platforms like Google and Facebook have radically transformed our democracy, but are they a force for good, and how can we better manage the potential risks they pose? These are some of the ambitious questions being posed by a world-leading Australian inquiry into the impacts of monolithic online multinationals on news and journalism that is seeking feedback on a sweeping blueprint for reform. 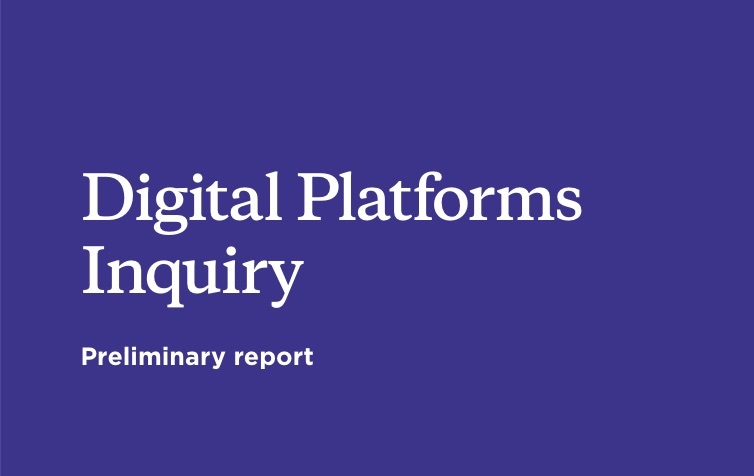 The Australian Competition and Consumer Commission (ACCC) did not hold back in its preliminary Digital Platforms Inquiry report on the monopolistic, opaque stranglehold of Facebook and Google on information flows in Australia, describing this as a real threat to public interest journalism and the democratic functions of the press. News and journalism perform a critical role in society. The ACCC made 11 recommendations to government and highlighted nine key areas for further inquiry, calling for submissions on both fronts before February 15. We’ve distilled some of the big-ticket items for you below. 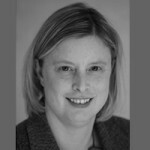 Eminent Australian media academic and journalist Margaret Simons and others have described the digital platforms probe and its December report as a potential game-changer for journalism and media regulation. 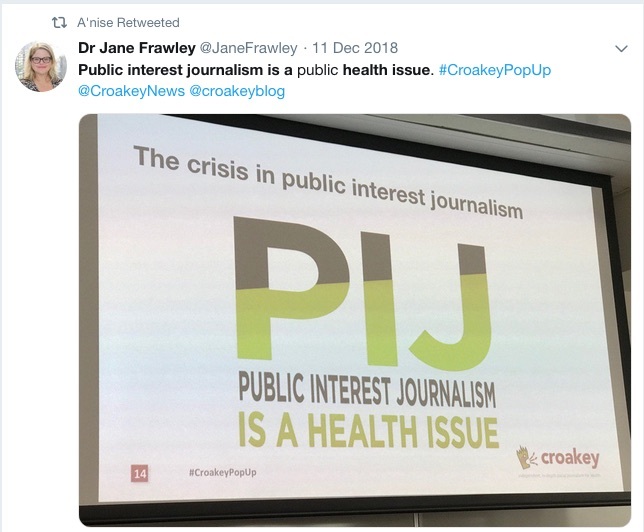 With little more than a month left to contribute to this essential inquiry, at Croakey we are happy to assist with preparing submissions and cross-publishing these as part of our public interest journalism #PIJ campaign – if this is of interest, please get in touch (info@croakey.org). 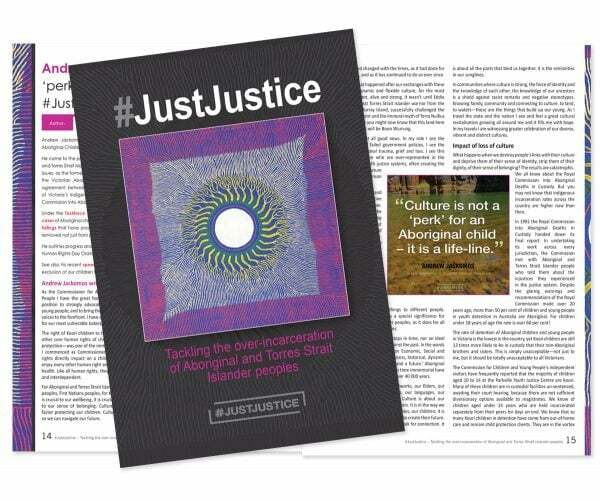 You can access our #PIJ archive here, and Croakey’s Marie McInerney has some excellent analysis on #PIJ and health in the Australian Healthcare and Hospitals Association bulletin here. We also recommend reading our coverage of a previous Senate inquiry into the future of public interest journalism, including this analysis of the inquiry’s recommendations. Still not convinced? 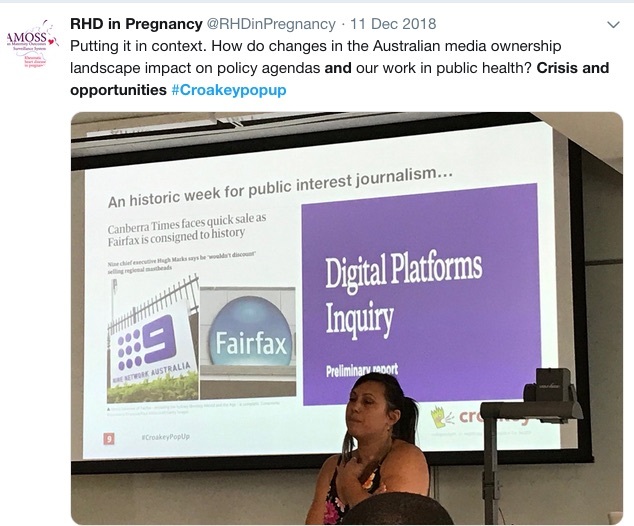 Read on for a five-point primer from the ACCC report on why public interest journalism – and this inquiry – matter for health. The ACCC leaves little doubt about its views regarding the media’s profound importance to public life, describing “broad benefits to society through the production and dissemination of knowledge, the exposure of corruption, and holding governments and other decision-makers to account”. 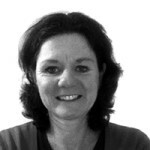 It identifies four broad public benefits from a robust, free press: holding others to account; campaigning for social or policy changes and political agenda-setting; ‘journal of record’ functions such as reporting on judicial, parliamentary and other official forums; and providing a forum for ideas and debate. 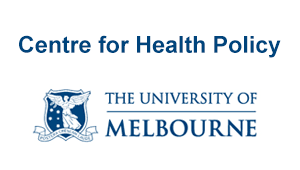 Describing the importance of citizens making “well-informed economic, social and political decisions”, the ACCC singles out health as a key example. 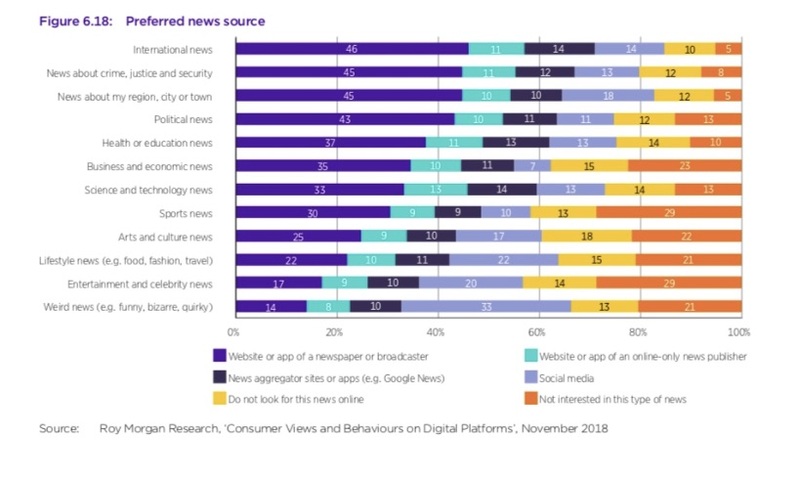 According to the Commission, a majority of Australians (54 percent) see health as an important news topic (encouragingly, even more – 58 percent – hold similar views on the environment), and they present some interesting data on how and where such content is accessed. 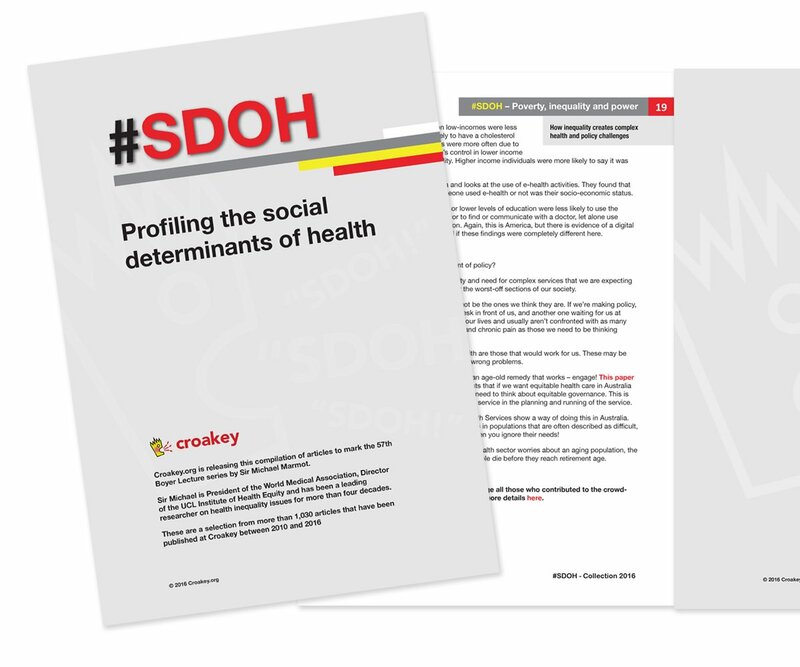 From a public interest point of view, the ACCC says health reporting offers a number of benefits, influencing personal decisions that can flow beyond individual wellbeing to labour markets, productivity and the economy. Any way you look at it, the picture is grim for profitability of the Australian media, according to the ACCC. 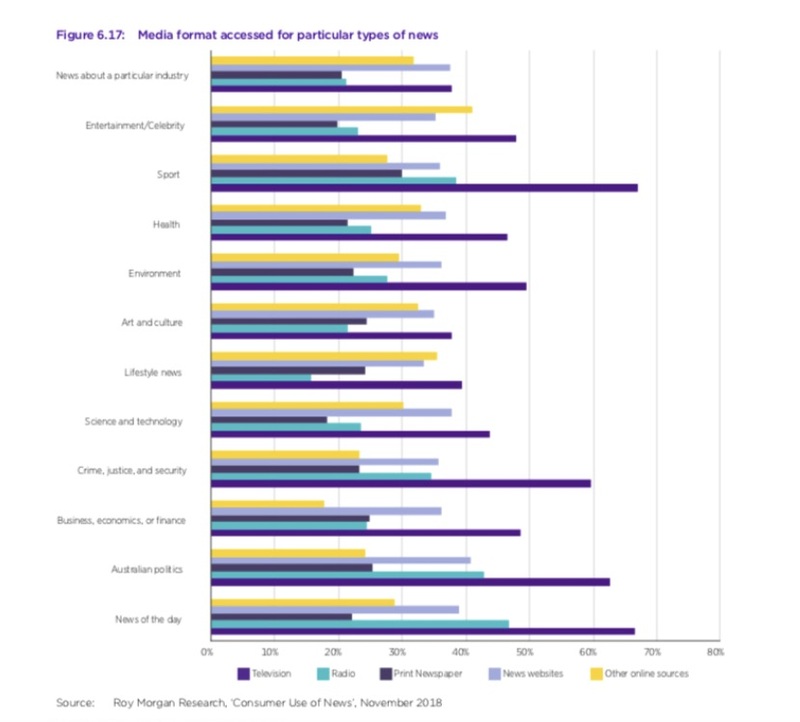 In the ten years between 2006-2016, Australia’s overall media workforce shrunk by a tenth, with a 26 percent drop in the traditional print workforce. This was particularly marked between 2014-2017, when print media companies reported a 20 percent labour force slump. 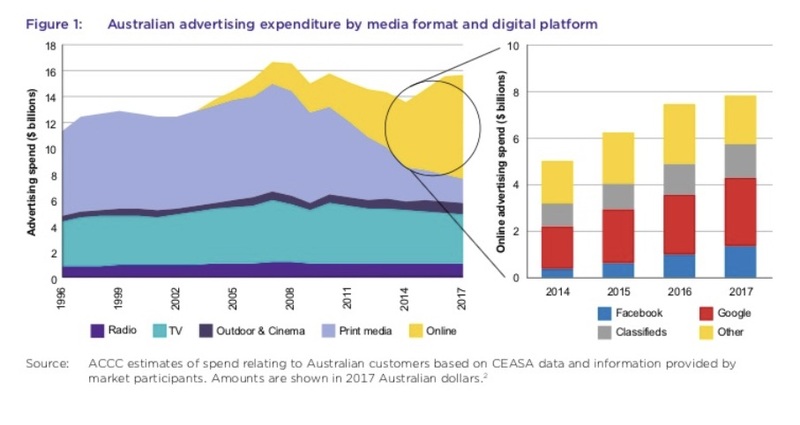 Media revenues have gone off a cliff since 2001, with classified advertising dollars spiralling from a heady $2 billion to just $200 million in 2016 and online advertising gaining prominence. Almost half – 46 percent – of this new revenue stream goes to Facebook and Instagram – no other site or app has more than a five percent share in the rest. The commercial incentives that apply to journalism coverage have also changed, with implications for the level of choice and the quality of journalism in the public interest. 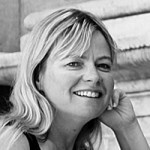 Local, parliamentary and court reporting and investigative journalism are among endangered species identified by the ACCC under the “atomisation” of news, which it says has been compounded by poor copyright protections allowing so-called “churnalism” – ranging from derivative reporting to blatant rip-offs of content – to flourish, weakening incentives for investment in original reporting. 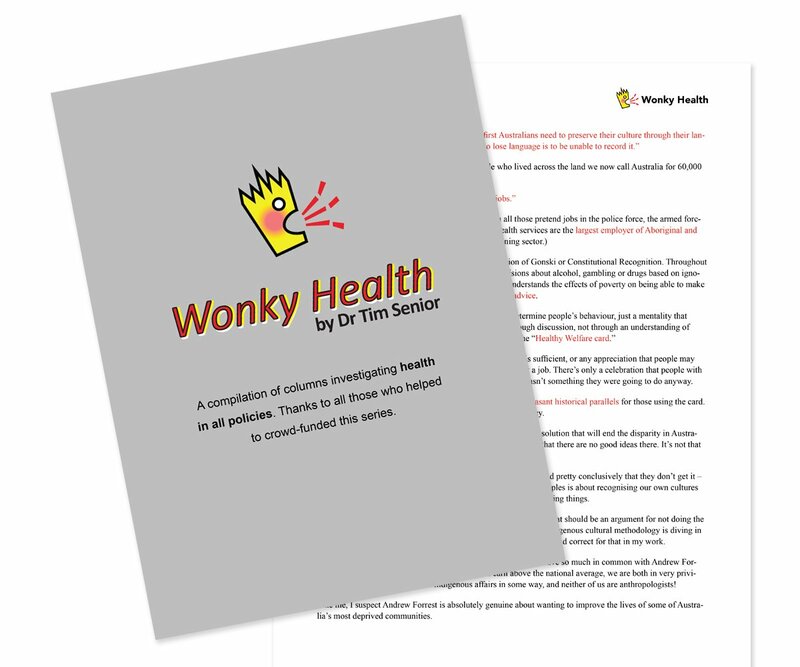 Online giants not only fail to act when such breaches are identified, they actively encourage it by failing to provide in its search ranking for originality. 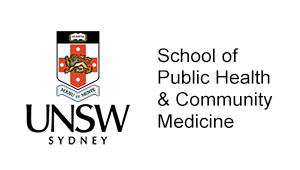 One of the more interesting recommendations made by the ACCC is mandatory badging of content which originates from a reputable source that is signatory to a media code of conduct including such principles as objectivity and accuracy, accountability and transparency, and avoidance of harm. This could be similar to the blue tick provided on Twitter or Facebook, but would be aimed at combatting so-called ‘fake news’ and improving media literacy for consumers. This system would be overseen by a digital regulatory authority rather than administered within Google or Facebook like the existing blue tick process. Laying down the gauntlet in an election year, the ACCC also calls for a separate, independent regulatory review into the production and delivery of content in Australia to bring it all under a “unified, platform-neutral framework” for publishers, broadcasters, other media businesses and digital platforms. It also recommends an enforceable Code of Practice for digital platforms, targeting data collection and privacy, and the establishment of a digital platforms ombudsman to mediate complaints and disputes, as well as making targeted advertising opt-in, and deletion of user data compulsory once a user leaves a platform. 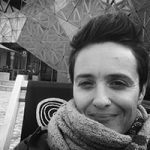 The ACCC has drawn a line in the sand on oft-repeated platitudes by the online oligarchs that they are mere marshals of content rather than media participants and should thus be exempt from regulatory oversight. By evading regulatory obligations, the ACCC says players like Google and Facebook gain an unfair revenue advantage which must be addressed. 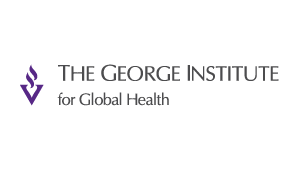 The “information asymmetry” regarding collection and use of user data and “considerable imbalance in bargaining power” for consumers are a considerable threat to informed choice and competition, the report says. Chapter 5 examines these issues in detail and is well worth delving into: the scale of data harvesting by these companies, largely without your knowledge, is alarming. The Commission examines various models being embraced by modern media companies to return to profitability, including digital and collective subscriptions, crowdfunding, direct support models like Patreon, microtransactions (eg Netherlands-based Blendle), and branching out into branded live events. However, the ACCC does not investigate in any depth the potential for philanthropy and non-profit models of journalism – an omission that Croakey will highlight in our submission to the Commission. On the government front, the ACCC proposes a few relatively simple solutions for consideration, including tax offsets for media production similar to those on offer in the film and television industries, and giving media subscriptions universal personal income tax deductible status to encourage people to pay for news. It’s also seeking feedback on the feasibility and appropriateness of extending the government’s Regional and Small Publishers Jobs and Innovation Package as an ongoing sustainability measure. 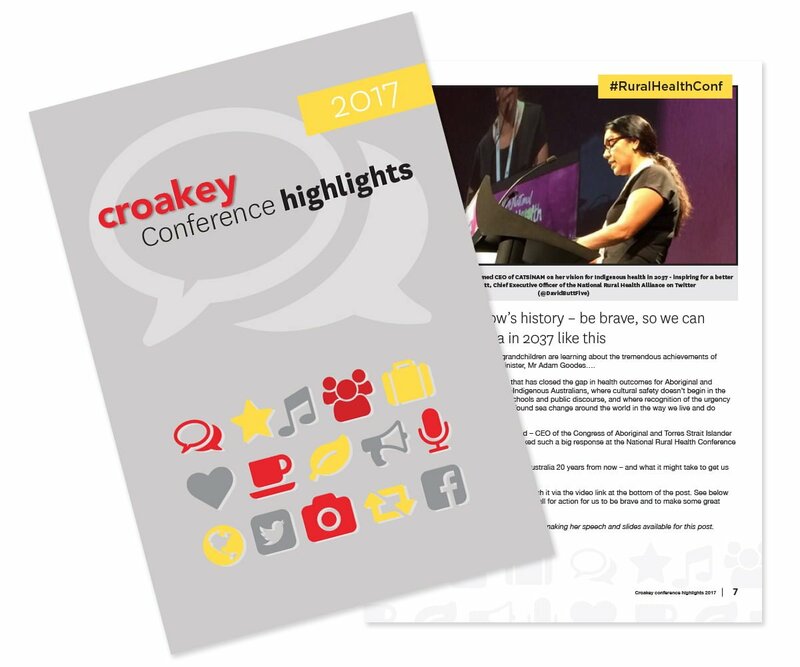 The tweets below are from a #CroakeyPopUp workshop hosted by Professor Liz Sullivan at UTS in December, and presented by Croakey’s Summer May Finlay and Melissa Sweet. The release of the ACCC’s preliminary report coincided with a momentous week for Australian journalism – the demise of the Fairfax brand. 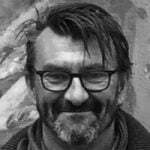 • Read Croakey’s archive of public interest journalism stories.